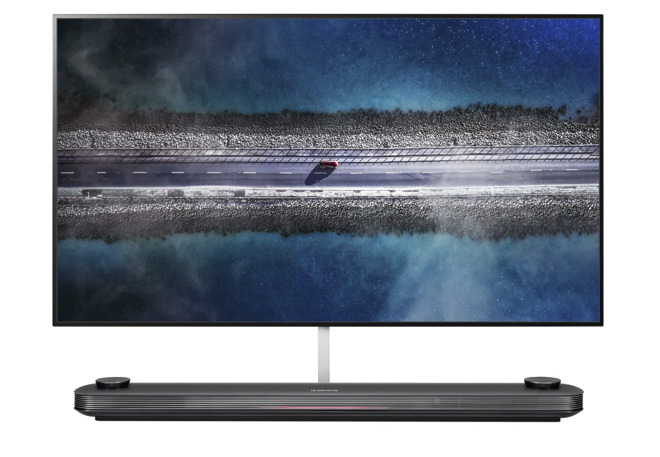 LG will be releasing its first OLED smart TVs with HomeKit and AirPlay 2 support in April, the South Korean electronics producer has confirmed, with the range able to connect to other devices and audio hardware that take advantage of Apple's smart home platform. Initially teased at CES and narrowed down for release until "mid-year" 2019, LG advised on Friday the pricing and availability of its new smart television range. The first sets will arrive in April, consisting of the 65-inch E9 and C9 models, followed by more releases in May and June, then later in the year. The lineup consists of three ranges, with the W9 series having 77-inch and 65-inch models, the E9 with 65-inch and 55-inch sets, and the C9 series with all three sizes. While the C9 will consist of typical OLED televisions, the E9 will be glass TVs, and the W9 are LG's Signature "Wallpaper" televisions. All of the models will include support for HomeKit and AirPlay 2, allowing it to stream video and audio to and from other devices, like using extra speakers on the network to produce an impromptu home cinema effect, for example. A firmware update for the AI ThinQ smart platform used by the televisions will also enable support for Amazon Alexa, while Google Assistant connectivity is already built in. LG also boasts the OLED televisions offer perfect black and vibrant images with accurate colors and wide viewing angles, uses the company's Alpha 9 Gen 2 processor with AI and deep learning technology to optimize picture quality and analyze the ambient lighting conditions, and Dolby Vision and Dolby Atmos support. The price range for the new televisions starts from $2,499 for the 55-inch C9, rising to $12,999 for the 77-inch W9, which will be shipping in June. C9 are “typical OLED” and E9 are “glass TVs”? What does that even mean? Any LCD models coming with HomeKit, even if it not from LG?